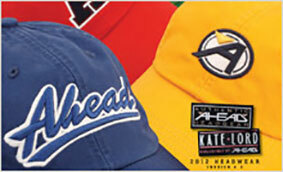 Ahead is a prestigious American brand, acknowledged worldwide for their caps, visors and golf hats. Synonymous with quality, constant creativity and simplicity balance, emphasising the ability to customise logos, with attention to detail and innovation. 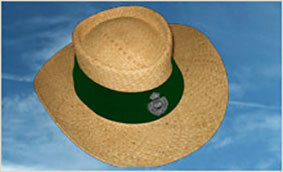 As well as offering perfect protection from the sun's rays, caps have become an ideal product to expose a logo. They become the perfect complement in harmony with the other clothing. Ahead uses high quality materials, attention to detail and constant innovation in the creation of logos. 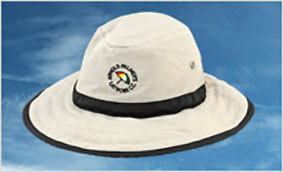 Like caps, visors are a classic golf accessory, offering perfect protection from the sun's rays at all times. In addition they offer the ideal surface to present the logo in line with the desired style. 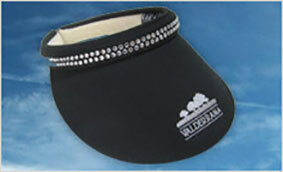 With designs that are continously updated, Ahead visors are characterised by their easy fit, comfort and style. Straw is ideal for hats dealing with high temperatures, protecting the head, eyes and skin, from the sun. The Ahead Straw Hat is a classic "must have" for the Summer. Like caps and visors, straw hats are made from top quality material, offering a wide variety of bands (pleated or flat) and colour options. The Ahead hat collection comes in a wide variety of models, such as Nicklaus, Stewart or Palmer, paying tribute to the great legends of golf. Ahead offers head solar protection UPF 50, classic and structured cut, including rain hats in microfibre and semi-structured fabrics.